The staff at The Courier-Journal in Louisville, Ky., won first place in the Associated Press Sports Editors 2017 contest in Multimedia in the 75,000-175,000 circulation category. The Courier-Journal staffers won for their work titled You be the Ref. 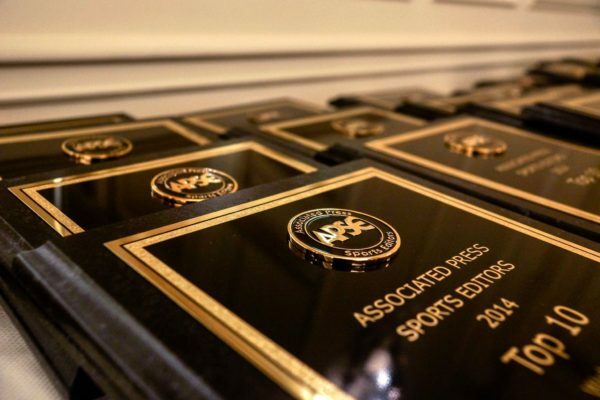 The newspaper will be presented a first-place plaque at the 2018 APSE Summer Conference at the Marriott Hotel Nashville/Vanderbilt University June 17-20. The second- through fifth-place winners will receive frameable certificates. The Courier-Journal edged staffers from The Seattle Times, which placed second for their work on Seattle Mariners pitcher Edwin Diaz titled THE WHIP, THE DECEIT, THE HEAT How Edwin Diaz hits triple digits. Multimedia includes interactive graphics, audio, slideshows or combinations thereof, or anything else that falls under the broad description of multimedia other than simple videos. Entries were judged, foremost, on the strength of storytelling. Visual and auditory quality also was considered.